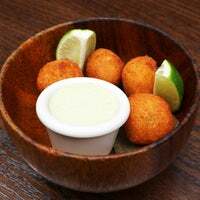 Pão de queijo!!!!! Em NY !!! ropa vieja is a dream come true. don't be afraid to abandon your lady manners and dump that rice onto your plate, mix it all up, and eat til your plate's spotless. because that's what i did. 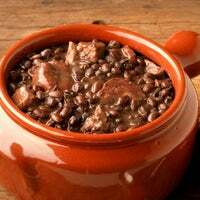 Carnivores should come here and when they do, they should either get Ropa Vieja for a traditional dish or Gaucho steak if they feel more carnivorous. The maduros and yucca fries here were outstanding. Paella is good and large portioned. Their seafood dishes are also generally great. There is a shrimp and coconut milk main which is great, and the clam appetizer dish is amazing and large portioned. 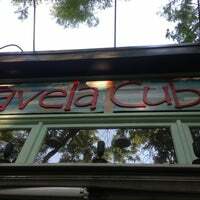 Possibly the best salsa party left in the city these days - Tuesday nights. Watermelon Caipirinhas are dangerously delicious & fresh! But hurry, it's seasonal. Got the veggie sandwich, loved the gooey goat cheese. The salad besides it was plain and uninteresting though. But + the ambiance and juice options, will come again! All of the shareable items are fantastic. Plus, Tuesday & Thursday nights are dancing nights. Phenomenal dancing. 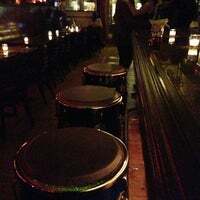 Plus, the barstools are drums! Even if you don't want to eat just try their great appetizer!! Please try croqueta de chorizo !!!! 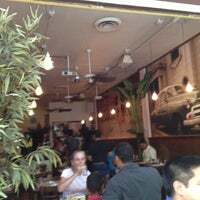 Beautiful little spot with amazing food, understated comfortable ambiance and the nicest waitstaff. 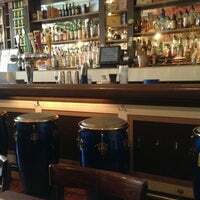 Great drinks- try the frozen mojito and the spicy tequila and blackberry margarita. Yummy snacks too! Amazing $5 happy hour drinks and food. Try the plantains and empanadas - both are really good! The blueberry caipirinha is not drinkable. The Bellini? Fabulous. 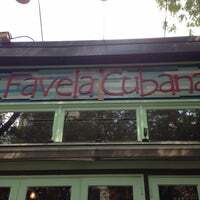 Lovers of Cuban food need to come here. 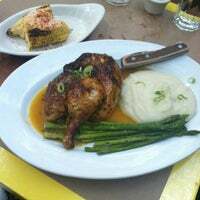 Authentic food, great music and nicest waitresses/waiters/bartenders. Definitely get a table outside, it's a beautiful little place to enjoy brunch! 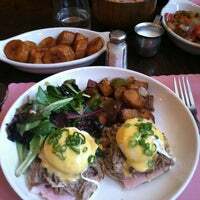 Cuban Eggs Benedict is one of the best breakfast dishes in the city. Smoked pulled pork on poached eggs. 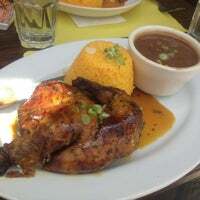 Amazing Cuban food. Get a bit of everything, especially the yuca fries. 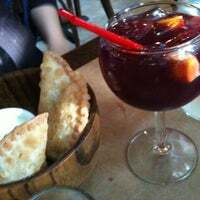 Palmito salad is the perfect lunch - and the waitstaff are so pleasant! 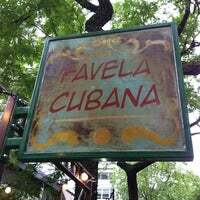 Favela Breakfast wrap is a must have and they also have free wifi! Sparkling blueberry caipirinha - boom! Good tuna and shrimp ceviche. The house white wine is pretty decent, too. Great music on Sunday nights. Chef is either incompetent, vindictive, or both: ordered a steak medium rare, it came medium well. I sent it back, it returned raw. I gave up. Happy hour cocktails $5 between 4pm- 7pm. Strong too! Came for brunch - super slow service even though place wasn't full. 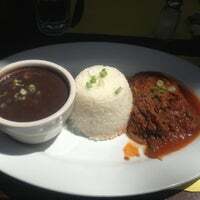 Disappointed by the empanadas - the ropa vieja is good when nursing a hangover. Absolutely horrible service. We were overcharged. Orders also came out incorrect. When we brought it to the waiter's attention HE SNATCHED the receipt out of my friend's hand and ripped it up. 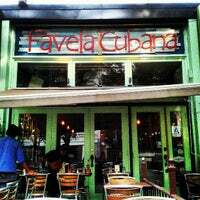 Favela Cubana is dedicated to serving the highest quality food with a focus on traditional Brazilian and Cuban cuisine. "Garlic shrimp and sea bass are unbelievably good. Ceviche is excellent, cocktails are strong. Worth the price"
"Os nachos e tacos são deliciosos. Apimentados na medida certa." "Uma das praças mais legais de NYC. Sempre com personagens e atividades diferentes, como música e performances artísticas. Eu amo a fonte." "Great performance space - spacious, not too big. Hope to see another production here in the future." "Great bar, dive bar. Live music, can do some dancing. 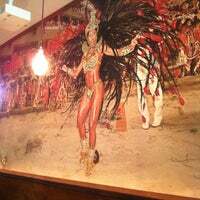 Cheap drinks, and great food. Casual bar."